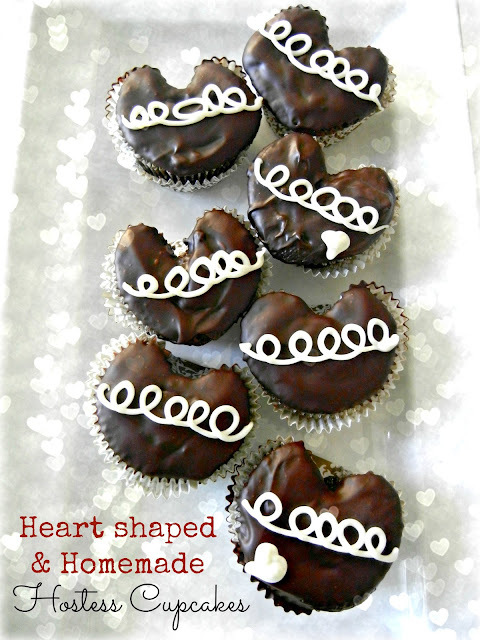 So it's the season for all things heart shaped! Valentines day is just around the corner so of course there is a need for some heart shaped goodies to make everyone smile a little more. 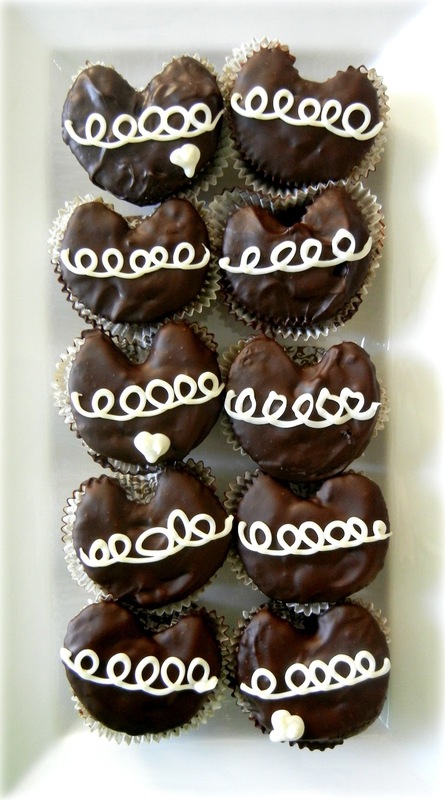 The heart shaped cupcake is made by baking them with a marble in between the pan and cupcake liner. I first saw this on Pinterest shared by Muses of Megret. Neat right? And I used this recipe for the homemade hostess cupcakes. 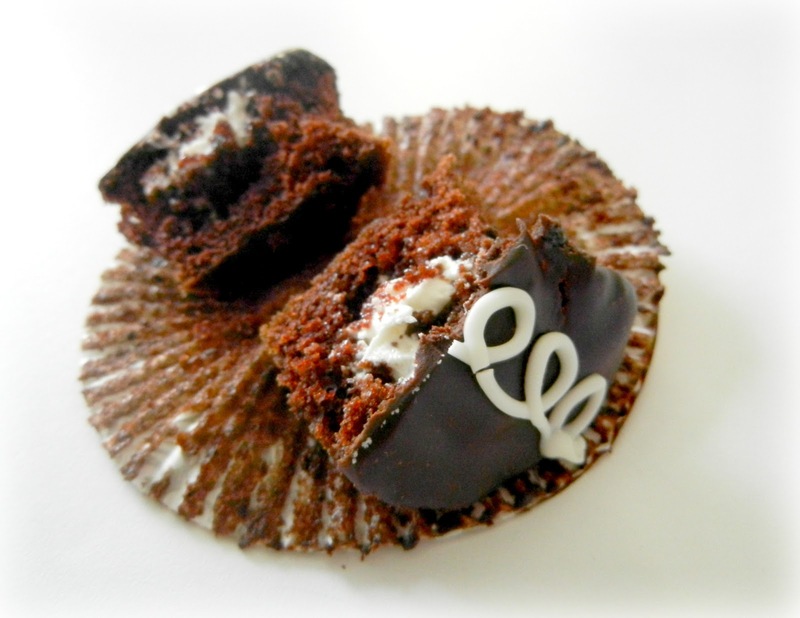 I am a big fan of the Hostess cake line (especially Sno Balls hence this post and this one!) so I hope they figure out a way to keep the brand going. 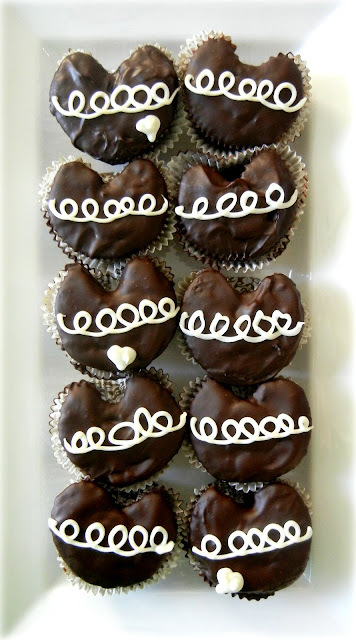 But if not, these homemade versions really did come out very tasty (probably better than the originals) and the heart shape kinda gives them an extra Valentines Day kick! Thanks as always for stopping by and have a great great super great weekend! Now I want cupcakes. These look delicious! Ah the cakes look lovely! These are super cute and they look delicious! I will have to try them out some time! 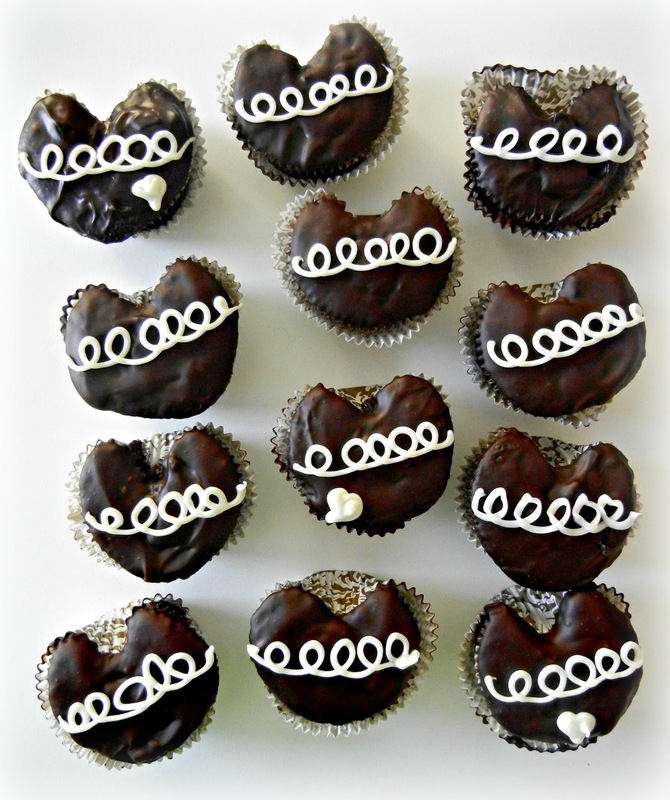 I'd love for you to share these with my readers at my link party this weekend! They are just too cute! Hope to see you there! Haha! "Ray is Old"! Too funny! These look Wonderful! I WANT! These are awesome! They look perfect! These look so yummy! I think I could even pull them off. :) What a fun site you have. I'm off to follow you on Facebook. I'd love for you to stop by and link this up at my link party, which is live right now. It is for new and OLD projects! These look yummy, and so cute! a whole bunch of fudge...!